The prototype for the Surface Lav was inspired after the success of the Recess Lav. 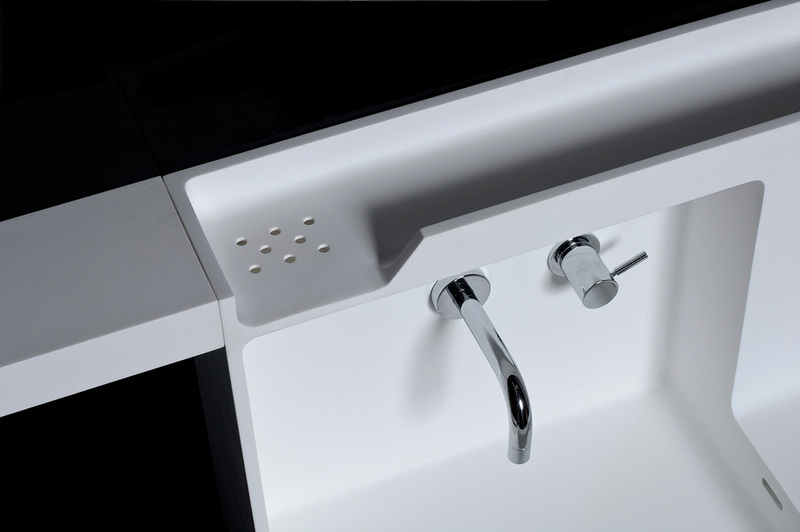 This sink can be surface mounted to a wall and provides an integrated sink, faucet, backsplash, counter, shelf and drained soap dish. Additional accessories allow one to expand the shelving laterally. The unit is seamless and made from a durable resin that is easy to maintain. The base unit is 24" wide with the option of ordering larger widths in 6" increments depending on the available space.